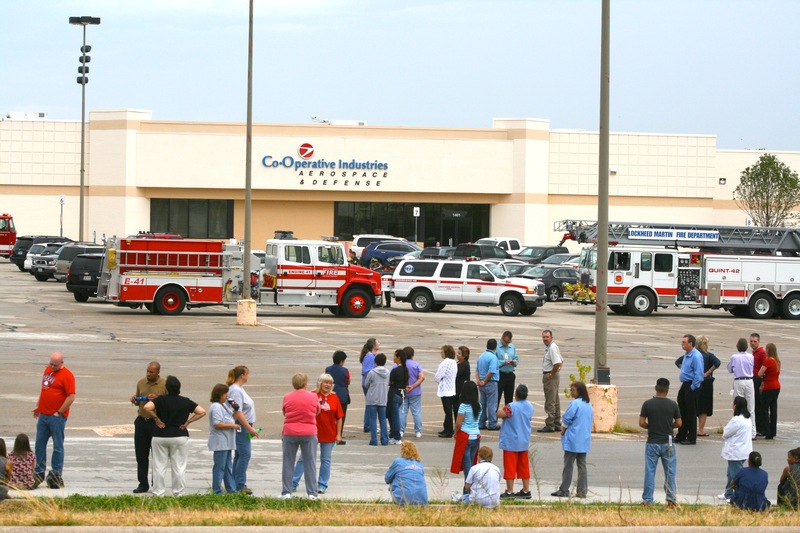 Employees of Co-Operative Industries Aerospace and Defense were evacuated this past Thursday after a call came in to the White Settlement Police Department (WSPD) regarding a bomb threat. According to sources, the threat was received by a phone call to the business at approximately 9:30 that morning. An employee of Co-Operative Industries then called the WSPD. Units from the WSPD, the White Settlement Volunteer Fire Department, Lockheed Martin Fire Department, and the Bureau of Alcohol, Tobacco, Firearms and Explosives (ATF) responded to the scene where employees were already standing in the parking lot. No explosive device was found and employees returned to the building just after 11 a.m.